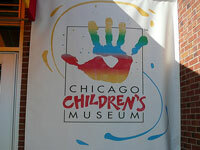 The 'Windy City' may not at first glance seem like a destination that caters well to little ones. 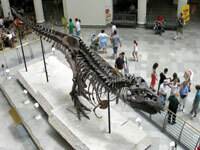 But families on holiday in Chicago will find there are more than enough attractions and activities to keep kids busy. 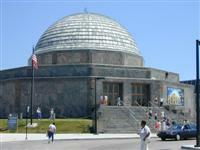 On clear days, enjoy the panoramic views over the city from atop the iconic Sears Tower (now officially called Willis Tower), or the Hancock Observatory. Enjoy a stroll through Lincoln Park or the Chicago Botanic Gardens if the sun is out. When it's really hot, head to the CoCo Key Water Resort where children can splash around for hours in the massive water park. The Navy Pier is a great place to walk along the docks and enjoy the spectacular views from the Ferris wheel and funfair rides. 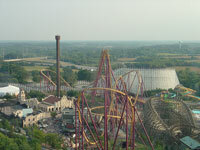 For larger scale amusement park fun the renowned Six Flags Great America is on hand. In inclement weather, unfortunately common in Chicago, parents should consider visiting one of the high-quality indoor playgrounds in the city. 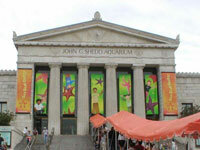 There are also several wonderful museums geared specifically towards children, like the Chicago Children's Museum. With so many attractions on offer and plenty more around every corner, children on holiday in Chicago will be just as enchanted with this city as their parents.